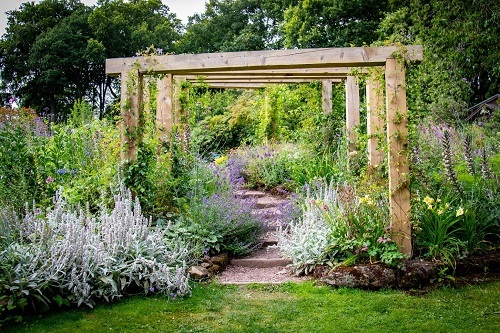 The Dorothy Clive Garden, near Market Drayton embraces a variety of landscape features, including a superb woodland garden, an alpine scree, a damp garden and spectacular summer flower borders. Visitors will discover the great variety of form and colour and the fine views of the surrounding hilly countryside. The plant enthusiast will find many unusual species at the Dorothy Clive garden. Visitors can rest on the garden seats provided throughout the grounds and enjoy the tearoom's home-baking on the terrace lawn, while taking pleasure from the lovely views of the Staffordshire countryside. 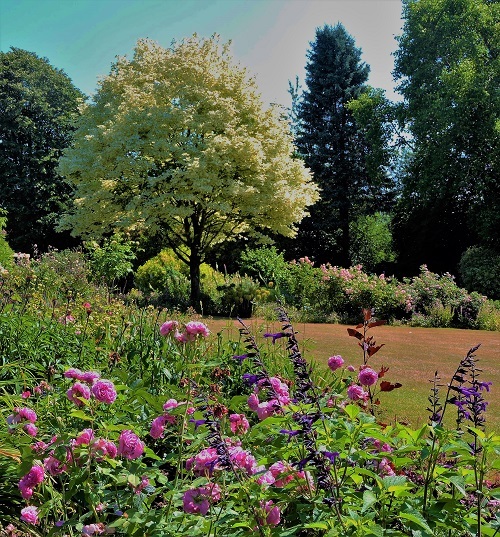 Dorothy Clive Garden - 2019 - Open throughout the year. 1st April until 30th September. Open weekends rest of year - see website for details. Dogs admitted on leads. Tea Room. If you want to take a break near the Dorothy Clive Garden, why not stay in one of our recommended hotels. Each hotel has genuine guest reviews enabling you to book from anywhere in the world in total confidence. Look now - click here.